Rocker HYDE is gearing up for the release of his 10th single titled “FAKE DIVINE“. The official Universal Japan YouTube uploaded a 30 second spot of the MV to tide fans over until the release date of the single. 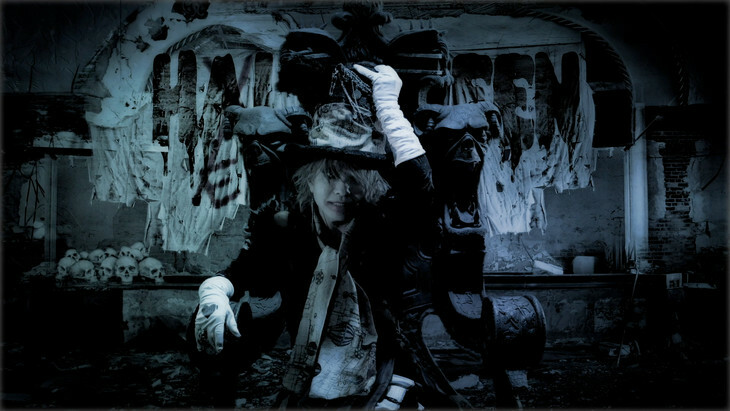 In the MV HYDE does his own take on the popular book “Alice In Wonderland”. HYDE plays the role of the iconic Mad Hatter, but this isn’t your typical interpenetration. The visuals all tie in perfectly with HYDE’s favorite holiday Halloween. Famous characters from the book such as White Rabbit, Cheshire Cat, and of course Alice herself all receive “goth” makeovers for the MV. Check out the preview below!